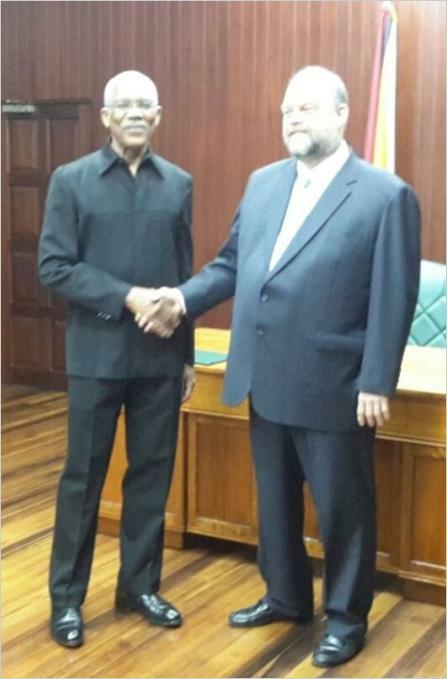 Photo: President David Granger shakes hands with newly accredited US Ambassador to Guyana, Perry Holloway. President, David Granger on Friday openly lobbied the United States (US) for support against claims to Guyana’s territory. In the face of intensified aggression by Venezuela to lay claim over the Essequibo Region, the Indian Arrival Committee (IAC) on Tuesday called on the main opposition People’s Progressive Party Civic (PPPC) in the National Assembly and send a unified message to Guyana’s western neighbour.